Circa 1946. 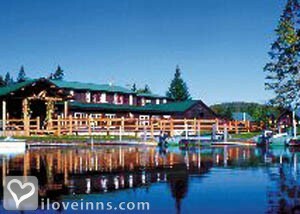 Explore the North Woods on Back Lake at this relaxed resort that offers deluxe accommodations, including a rustic lodge with air-conditioned guest bedrooms, lakeshore log cabins and luxury cottages. For delicious, economical meals, the Rainbow Grille is a highly acclaimed restaurant in the main lodge. 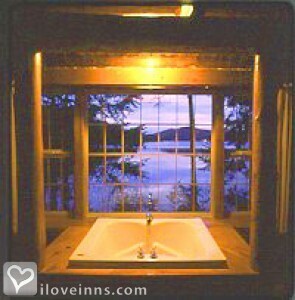 Natural panoramic beauty is unparalleled in this wilderness region, and a variety of activities are available. Experience mountain biking, fishing, canoeing, hiking, kayaking, moose watching and loon listening. This property has 27 total guest accommodations, 23 with private bath, 9 with fireplaces, 7 with whirlpools, 2 two-bedroom suites, 4 cottages, 12 cabins and 1 conference room. The types of beds available include Twin, Queen and Double. 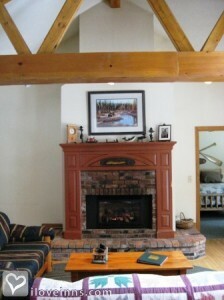 Fireplaces, whirlpool baths, lakeside setting and award-winning dining. 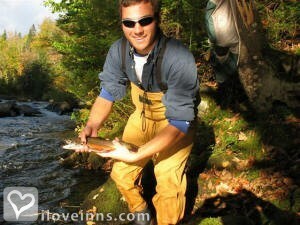 Yankee Magazine, Boston Globe, Boston Magazine, Field & Stream, North America's Greatest Fishing Lodges.